Perhaps you are interested in selling online courses to your traffic and clients? If you are unaware of what an LMS is, then it is wise that you know what the acronym stands for—learning management system. This type of plugin can help you manage, create, and sell your online courses with simplicity. Luckily, WordPress offers many plugins available to help you run your website with a completely effective approach. Do you have knowledge that you want to gift others with—if they are willing to invest in their future, why not? Many companies, from small to large, have something to offer. Why would you let your knowledge go to waste? If you are looking to provide others with valuable information and want to start online courses, then it is important to use one of the best learning management system plugins. In this article, we will discuss what LMS plugin is the best, and why. Not only is this plugin meant for memberships, it offers many other features that will help you grow your business and rake in more revenue, all while you give others the knowledge they deserve. Most importantly, you want to make sure that your students stay engaged, otherwise, they will most likely ask for a refund as they will feel cheated if you don’t offer them something valuable in return. Once you download the plugin, you can create a one-time pricing option for your course, or you can offer ways for students to unlock different courses after they successfully complete previous courses. The second method—unlocking courses, provides a higher engagement rate for your student’s; this strategy is recommended. LearnDash works by enabling you to set up and sell online courses. You can offer certificates, awards, and quizzes to your student’s, this will keep your students coming back for more knowledge. If you are looking to provide the best online learning experience around than this best learning management system plugin will be a great addition to your website design and brand. Although keep in mind you will have to pay for the plugin license before you can implement it. The price is currently set at $199.00 for the entire year, but well worth it, as you can certainly gain a valuable return on your investment. 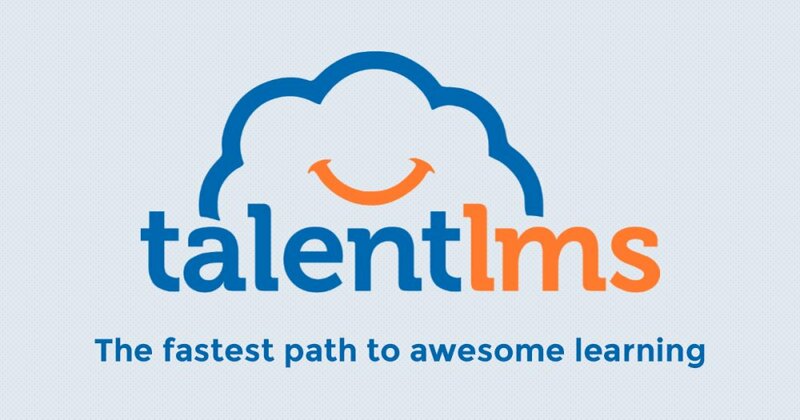 TalentLMS works by utilizing cloud-based services. When it comes to getting the best learning management system plugin to work, this process will be quick and easy. You won’t have to install any software that may corrupt your current website data and template. Often, Web Designers and Developers complain about plugins ruining their current data, this will not be the case with this particular plugin. This (LMS) plugin works by giving you mobile friendly access and allows you to reorganize your current content to create enhanced online courses for your students to delve into. More features this best learning management system plugin offers is the ability to use calendars, student forums, and direct messaging. 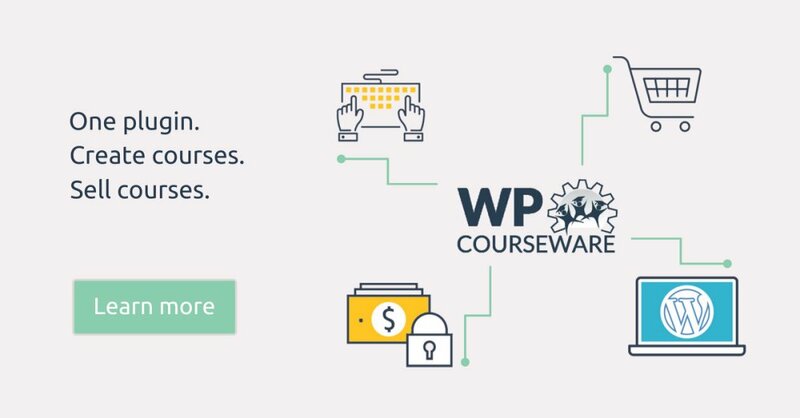 WP Courseware works similar to the other LMS plugins on the list, although it has its own unique features that include services such as an easy-to-use drag and drop builder, which proves to be efficient for those of you who aren’t professional coders. This plugin helps you build your own online courses with a do-it-yourself type of approach. You can set retake test limits and provide your students with timers that help you properly test them to make sure they are properly retaining all of the information you are providing them with. This best learning management system plugin also allows the licensed owner to send and tailor messaging, this may help you aide your students with individual and private constructive criticism. If you are an avid WordPress user and want to create tailored courses to help the world learn, this will be your favorite plugin and tool. LearnPress works for those of you online teachers who prefer to try out a free plugin before moving into a more complex LMS plugin. Although, this plugin doesn’t offer as many features as LearnDash. You can set up content, quizzes, and teacher grading features with ease. Once you download a plugin, you will have the ability to download add-ons—this best learning management system plugin allows you to add plenty of other features which are useful when you are offering online courses. As you can see, an (LMS) plugin works by allowing you to easily add online courses, accept payments, grade, set up reviews, messaging, and an ability to guide your students into a successful future. Once you own a WordPress site, you can start to take charge of your online property and monetize your site’s capabilities, ensuring the success of not only your student’s but yourself. If you hone skills that most people yearn to have, then why not share your knowledge with others? This tactic will help the world grow as a whole and will ensure that people everywhere have an ability to gain further education. There are many ways that you can make your website work for you. Once you download the best learning management system plugin, you will be able to take charge of creating more revenue and most importantly make a mark in someone’s life. Furthering education is a gift that can’t be taken away from the individual. It is about time that you utilize your teaching skills and provide a way for others to become enlightened, which will, in fact, improve their life.